“New” as in “just turned up”; I think it’s from last year? 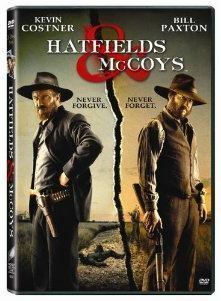 In other news: the “Hatfields & McCoys” DVD/Blu-ray is now available; however, it’s Region 1. No news yet on when we can expect the Region 2 DVD. The complete series and Damian O’Hare as Ellison Hatfield aside, you’ll also get some extras: a 30 minute “making of” featurette and the “I Know These Hills” music video, featuring Costner and his Modern West band. And as you’re already here, why not helping us to meet our target for our 5th anniversary “Magic Breakfast” charity drive? Up to 700,000 children arrive at school too hungry to learn every day. Magic Breakfast works with primary schools across the UK with the aim to make sure every child has access to the right fuel for learning to reach their full potential. Not too keen on 600+ hours of repeats? Martin Jarvis, Doon Mackichan, Bruce Mackinnon, Kobna Holdbrook-Smith, Joanna Brookes, Lydiah Gitachu and of course Damian O’Hare in the excellent dramedy about a BBC news team reporting from a civil war in a fictional African country. Spicy cinnamon scented candle from L’Occitane – this will turn your home into winter wonderland. L’Occitane is a French company, known for cosmetics of best quality. They support local production and don’t test their products on animals. C’est le pied! “What is Rory Wallace’s (Damian O’Hare) job in ‘Taking the Flak'”? That’s all. Even I could answer that! Desperate finding the perfect Christmas present? This lot is being sold as part of Save the Rhino’s 15th Birthday online auction; Hornucopia. SAVE THE RHINO fundraises for the conservation of endangered species of rhinoceros by supporting community and education programmes in key wildlife habitats in Africa and Asia. 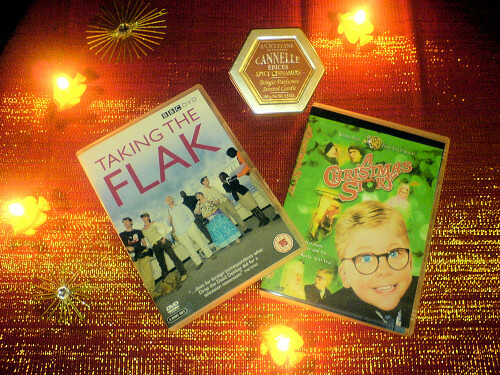 You can buy the “Taking the Flak” DVD with many prettiful extras HERE. Last but not least, here’s another DVD review; this time in French. Therefore, Taking The Flak is not a memorable series, but it still offers something to satisfy the fans of the genre. There was a lot of potential in the beginning which remained unexploited; the show opted for a more futile and superficial approach. The result will pass the time. And that’s about it. Disclaimer: I’m not moonlighting as cheapjack movie critic here, I just really think your money will be spent on a good product. We all have bills to pay and a life to manage; £11.48 (through Amazon) is a lot of money for many of us, so I feel decent information before you buy is nothing but fair. If I thought otherwise, I wouldn’t recommend the DVD, no matter who’s on the show. Kobna Holdbrook-Smith, Martin Jarvis, Joanna Brookes, Doon Mackichan and Damian O'Hare in "Taking the Flak". But it’s the content that counts, and here, the “Taking the Flak” DVD is definitely not on the cheap side. 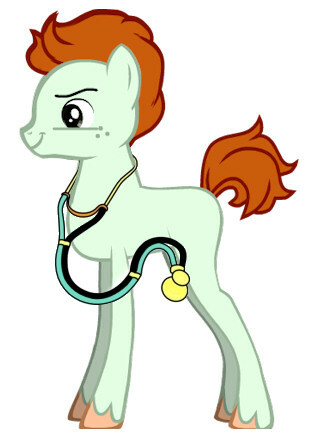 On two DVDs, you will find all seven episodes of the series, including the one-hour pilot. Due to the unrests that broke out in Kenya after production of the first episode, the work on the series was interrupted for many months and production was moved to Tanzania. It shows; not only does the 30 minute format suit the series better than the 60 minutes it was waltzed out to for the pilot, the first episode also suffers from some awkward scenes and jokes which are simply not funny. The series improved from episode to episode, and those who gave it a chance after the pilot were not disappointed. “TAKING THE FLAK” DVD RELEASED TODAY! BUY THE “TAKING THE FLAK” DVD! For Harry Chambers (Bruce Mackinnon), the local BBC stringer in the fictional African nation of Karibu, a civil war after years of conflict could mean his big break. Unfortunately, the London newsroom parachutes in its own team under the command of the BBC’s egotistical foreign editor David Bradburn (Martin Jarvis), whose attitude would give any opera diva a run for her money. His long suffering producer Jane Thomason (Doon Mackichan) has the near impossible job of organising David, the cameramen Jack (Lloyd Owen) and Rory Wallace (Damian O’Hare), Margaret Hollis (Joanna Brookes) from the World Service, her own love-life and some friendly locals. Keeping all egos in check is not easy, and if only all would go according to plan, this might be the best story of their lives. 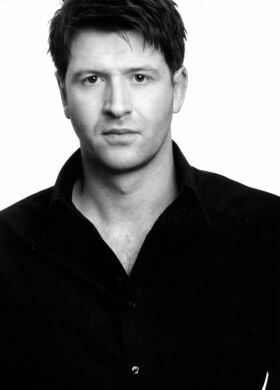 Harry finds it difficult to manage both his career and his relationship to sharp-tongued hotel receptionist Grace (Lydiah Gitachu). Luckily, he’s getting all possible support from local fixer Joyful Sifuri (Kobna Holdbrook-Smith), whose connections and cousins are invaluable. Of course, there are a few minor obstacles in the way of fame and fortune: the desperately uninterested London desk producers; all-action American star reporter, Candida Colter; the BBC’s Brussels’ Correspondent who’s muscling in on their story, and the small matter of people shooting at you in a strange country! Will David’s famous BAFTA crouch save the day…? Written and produced by experienced, award winning journalists (Tira Shubart, Jon Rolph, Paul Kerensa) and including cameo appearances from real BBC News anchors. Starring Martin Jarvis, Doon Mackichan, Bruce Mackinnon, Joanna Brookes, Kobna Holdbrook-Smith, Damian O’Hare, Lydiah Gitachu, Lucy Chalkley, Harry Lloyd and many others. The DVD is already in stock, mine was actually dispatched by Amazon on 15 August. and win the DVD (or a t-shirt). Deadline is today, 17 August, 2009, 11pm GMT.